What can you do in order to avoid this classic eyelash dilemma? 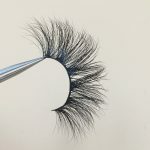 Wearing CALECEH LASHES(3D mink eyelashes ,25mm lashes,20mm lashes ,18mm mink lashes vendor and eyelash manufacturer with high quality.) is the perfect way to add a boost of confidence and glamour to your day. That being said, nothing can dash your spirits faster than having something go wrong when you’re out and about! 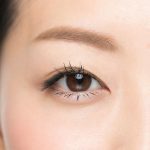 The most common issue that can happen is having a false eyelash begin to come loose at the corner, or even fall completely off. So what can you do in order to avoid this classic eyelash dilemma? We will show you how to fix false eyelashes when the ends detach. As the old saying goes, an ounce of prevention is worth a pound of cure. The best way to ensure that your lashes stick with you all day is to make sure that you adhere them properly when you first put them on. Make sure that you size the eyelash correctly so that it doesn’t have edges hanging off of your eye. Then most importantly, apply eyelash glue to the vein of the false eyelash. Allow the glue to set for 30-50 seconds until it’s tacky to the touch. Then push the lash onto your lash line, paying special attention to the edges, until they’re cemented together. You can use a toothpick or a cotton swab to press hard and ensure good adherence. Also, make sure that your glue is fresh and replace it if it becomes old and dried out. Even if you attach your eyelashes properly, you can still have a public emergency. Sometimes you might absentmindedly scratch the false eyelash loose or the glue might fail from being old and brittle. 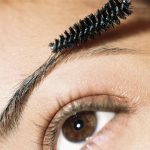 The best way to be prepared for this is to pack your eyelash glue, a few pressing tools such as toothpicks, eyelash tweezers or cotton swabs, and whichever eyeliner you used that day. If you feel your lash coming loose at any point, head to the bathroom and get to work. 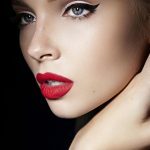 If you simply have a loose corner, use the toothpick to apply a bit of glue directly to the loose vein and a bit right on the natural lash line. Let them get tacky and then press back together. You can use the tweezers to remove any extra glue. Then simply fix the makeup in the disrupted area with the eyeliner and you’re good to go! The same process applies if an entire eyelash comes off; just reattach the entire thing instead of one corner. 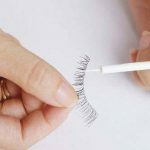 With these simple tools and a little bit of preparation, you can avoid any loose eyelash dilemma that would prevent you from wearing false eyelashes out in public on a regular basis. 1. The thinner the eyelashes are, the more realistic they look. 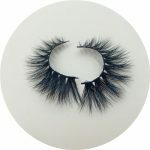 When choosing false eyelashes, be sure to pay attention to the fidelity of 25 mink eyelashes strip or silk lashes. 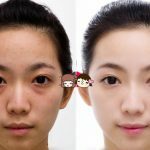 If the stem is too thick, you must hide the thick eyeliner, but if you are not careful, it will become a heavy makeup. Too dark eyelashes under the light will show a cheap plastic feel. 2. 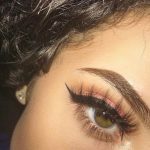 False eyelashes that are too thick and too curled are looking fake. 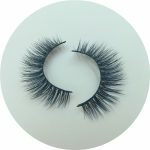 The length of the false eyelashes(such as 25mm mink strip,20mm siberian mink lash) worn daily after curling is enough to the eye socket. If you exceed the eyebrows, then the entire eye makeup will look quite strange. 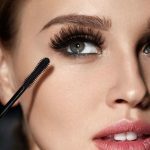 How do you apply mascara to make your eyes more radiant? The use of mascara can also free your eyes from the state of godlessness and exude the unique charm of women. 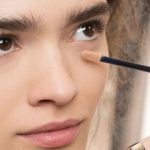 To highlight the beauty of the eyes, how to apply mascara has become a key issue. How do you apply mascara to make your eyes more radiant? 1. Choose the mascara that suits you. It is important to use your own mascara. 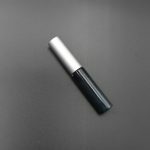 Ordinary black mascara is very suitable for daytime use, which can increase the brightness of the eyes and visually increase the size of the eyes. The blue mascara produces a dark reflective effect under the light, suitable for night parties. Brown mascara is suitable for people with lighter skin and lighter hair. Modern superb beauty technology has brought convenience to many ladies who love beauty. After the perm eyelashes, you don’t need to use the eyelash curler, just apply a layer of mascara. But remember that the eyelashes after perm are more fragile, so be careful when removing makeup. 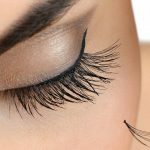 Artificially grafted eyelashes are a quick and convenient way, but artificial fibers stick to your own eyelashes, so you don’t have to use mascara. Because the composition of the mascara reacts with the fiber, it is likely to cause the eyelashes to fall off during makeup removal. What should you do with used mascara? If you don’t use it for a long time, the mascara has passed the shelf life. It is best not to use it, but you don’t need to throw it away. It has other effects. 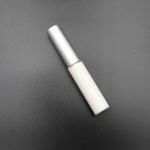 It can be used directly to brush the eyebrows, but because the paste is dry, there is no need to worry that the eyebrows will be smeared. 5. What color mascara do you choose when you are in dark circles? After a long night, this nasty dark circle began to appear on the face. To cover this nasty dark circle, we can use some lashes tools to cover up. First select some concealer pens that modify the dark circles, then start to choose the appropriate mascara, brown or blue mascara, brighten the eyelids, distract everyone’s attention to dark circles, do not choose brown mascara. 6. 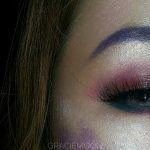 Is it necessary to apply bottom eyelashes? 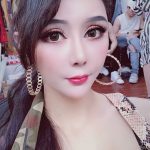 Is it not very unprofessional to apply only the upper eyelashes without applying the bottom eyelashes? In fact, it is not so absolute. 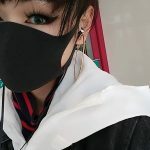 Applying the upper and lower eyelashes at the same time will increase the third dimension of the eye, making the eyes look big and fascinating.If you match the eyeliner, it will look more formal and have a stronger makeup, it’s suitable for attending at night. If you go to work, travel, and hope that the makeup looks natural and fresh, you can choose not to apply the bottom eyelashes. 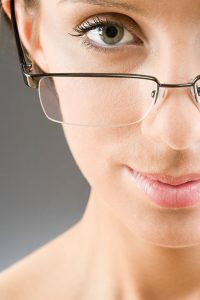 For those who must wear glasses and like to wear glasses, in order to be able to highlight the beautiful eyelashes, try to choose the boundless frame mirror. Pay attention to the encryption type of eyelashes when applying eyelashes. Too long eyelashes will destroy the coordination of the entire eye makeup. 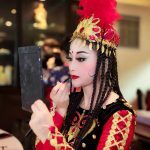 Pay attention to the color of the frame and the color of the eyelashes, and pay attention to the overall effect of eye makeup.